Split Screens Festival is produced by the core team behind IFC Center’s successful DOC NYC documentary festival, in collaboration with creative director Matt Zoller Seitz, the noted television/film critic and bestselling author of books on Mad Men, Oliver Stone, and Wes Anderson. 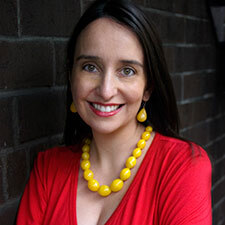 Raphaela Neihausen is Executive Director of DOC NYC, America’s largest documentary festival (now in its eighth year) and Stranger Than Fiction, a weekly series at IFC Center (now in its twelfth year). 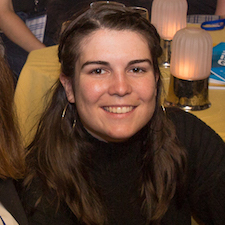 From 2011 – 2014, she launched the Montclair Film Festival, as Executive Director. Prior to that, she worked for seven years at Mercer Management Consulting (now Oliver Wyman), advising Fortune 100 companies on strategic growth. Neihausen co-hosts WNYC’s “Doc of the Week” and executive produces the podcast Pure Nonfiction. She also produced the feature documentary Miss Gulag and the 2017 Oscar®-nominated short film Joe’s Violin. She holds a BSFS/MA from Georgetown University’s School of Foreign Service. Matt Zoller Seitz is the Editor-in-Chief of RogerEbert.com, the TV critic for New York Magazine and Vulture.com, and a finalist for the Pulitzer Prize in criticism. His books include the New York Times bestsellers The Wes Anderson Collection, The Wes Anderson Collection: Grand Budapest Hotel and TV: The Book (with Alan Sepinwall), as well as Mad Men Carousel: The Complete Critical Companion and The Oliver Stone Experience. 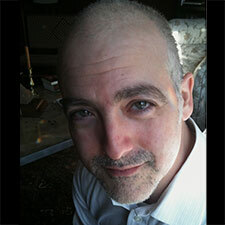 Seitz’s writing has appeared in The New York Times, Salon.com, The New Republic and Sight and Sound. 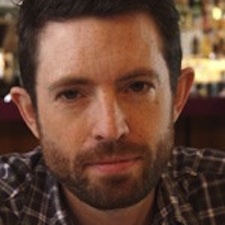 A Brooklyn-based writer and filmmaker, Seitz has created video essays about cinema history and style for The Museum of the Moving Image, Salon.com and Vulture, among other outlets. 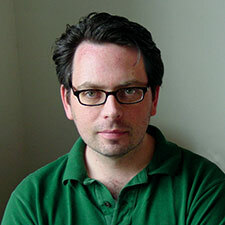 He is the founder and original editor of the influential film blog The House Next Door, now a part of Slant Magazine, and the co-founder and original editor of Press Play, an IndieWire blog of film and TV criticism and video essays. He is currently directing and co-writing an anti-fascist science fiction drama for television, starring puppets. Melanie McFarland is the TV Critic for Salon.com. 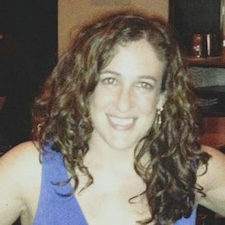 Prior to joining Salon, McFarland was the TV Editor for IMDb.com, where she curated the site’s television content as well as writing and hosting episodes of its first original web series “What to Watch.” McFarland served on the 2004 and 2005 juries that selected the American Film Institute’s 10 Most Outstanding TV Programs of the Year. She also was a member of the George Foster Peabody Awards board between 2006 and 2012. McFarland has lent her expert commentary to a variety of media outlets, including CNN, NPR, American Public Media, and the BBC. She has been a member of the Television Critics Association since 2003, and currently serves on its executive board. McFarland’s work has appeared in Variety, as well as the Seattle Times and Seattle Post-Intelligencer, The Oregonian, Chicago Tribune, Geekwire, Rotten Tomatoes and Parade Magazine. Her work is included in the upcoming anthology “The Women of David Lynch,” due out June 11. She is based in Seattle, WA. 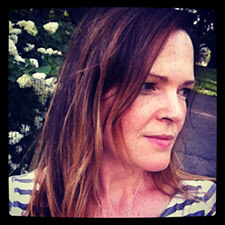 Deborah Rudolph has been with DOC NYC for the past three years as Director of Sponsorship and Producer of DOC NYC PRO. She is also Assistant Programmer at the Tribeca Film Festival and Programming Coordinator at the Montclair Film Festival. 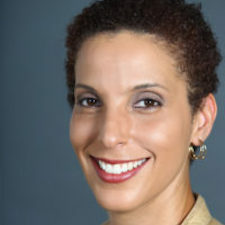 She served as Producer of Points North at the Camden International Film Festival, and for many years as Manager of Corporate Social Responsibility at HBO. 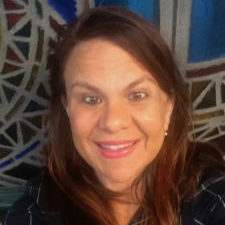 She is a large-scale event producer for both for-profit and non-profit organizations, as well as a film evaluator for POV, Catapult Film Fund, and Chicken & Egg Pictures. She holds a Masters in Communication from Columbia University. Through his leadership roles in film distribution and exhibition over the last 15 years, John Vanco has strived to connect great works of cinema with appreciative audiences. Greenwich Village’s IFC Center, led by Vanco since its 2005 opening, is the bricks and mortar home of IFC Entertainment and serves as a focal point for the independent film community. As one of the founders of Cowboy Pictures, Vanco led the distribution efforts on behalf of dozens of foreign language, documentary and American fiction features, including works by Lynne Ramsay, David Gordon Green, Catherine Breillat, and Shohei Imamura. Cowboy also programmed an innovative film calendar at a Manhattan cinema and managed the theatrical libraries of Janus Films and Pennebaker/Hegedus films. Previously, Vanco served in various capacities at Miramax, New Yorker Films and Fine Line Features. Harris Dew has worked in film programming and publicity for over 15 years, holding positions at New Yorker Films, the San Francisco International Film Festival, the Museum of Modern Art and Film Forum. He has a BA in Comparative Literature from Columbia University and an MA in Film History from NYU. Melissa Jacobson most recently co-produced Feature Documentary The Witness, about Kitty Genovese. For the last decade, she was the head of development for Five More Minutes Productions where, among other tv and film projects, she oversaw research for the film, The Conspirator, and the ESPN limited series, The Bronx is Burning. Previously, she was a co-founder of a stock footage research company, Alternative Images, and Acquisitions Specialist at Getty Images / The Image Bank. Dor Dotson runs Genuine Article, a boutique consultancy offering crowdfunding and social media strategy in the entertainment space. Before opening up her own shop, Dor worked for 10 years in market research, helping studios and filmmakers craft effective marketing messages. She’s been on the DOC NYC screening committee for four years. Dana Krieger has spent the past 15+ years producing and creating large scale, high profile events. 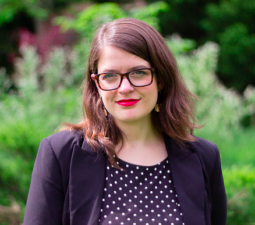 Dana has played an integral roll in several festivals from DOC NYC as it’s Director of Operations, as the Program Manager for Montclair Film Festival to the Event Director for Taste Williamsburg Greenpoint. She has a secret love of TV, and is excited to be part of Split Screens! Dana completed her undergraduate studies at Georgetown University and earned a Masters in Public Administration from Columbia University. A fan of the arts and expression, Sarah has enjoyed working in the festival world for the past 4 years. Besides coordinating this festival, she also helps run DOC NYC, What the Fest!? and Pure Nonfiction at IFC Center, Previously, Sarah worked at the Montclair Film Festival and Argot Pictures. She holds a BA from Montclair State University in Television and Digital Media.